No, I didn’t get away with it and it’s now Friday morning J This time next week I will be having my first spider evening. I know I said no rules but I’m getting a bit worried now as the post that I put on a Facebook reached over 1,000 people I reckon my bug room could accommodate about ten people at a push! That said I still may end up as Billy no mates, so far one person has told me that he will probably come along. Therefore I’m putting out a little plea, if you are thinking about coming, please let me know, it would be appreciated because I just don’t have a clue! I will be completely restocking in January as usual but I am still trying to get some more tarantulas before Christmas. Spider sales are going very well since I returned from my holiday and also Hissing cockroaches and Bumblebee millipedes. I’m really taking note of my sales now as I intend to run a more streamline service in 2019. There is no point in me spending hours looking after animals that people clearly don’t want. I have a large range of millipedes but it is the cheaper, captive bred ones that sell best, along with the ever-popular Giant Train millipedes. Some of my wild caught stock are stunning but they rarely sell. Is it because they are wild caught or is it the higher price? It is so hard to tell. I really like cockroaches but I think I have too many species. 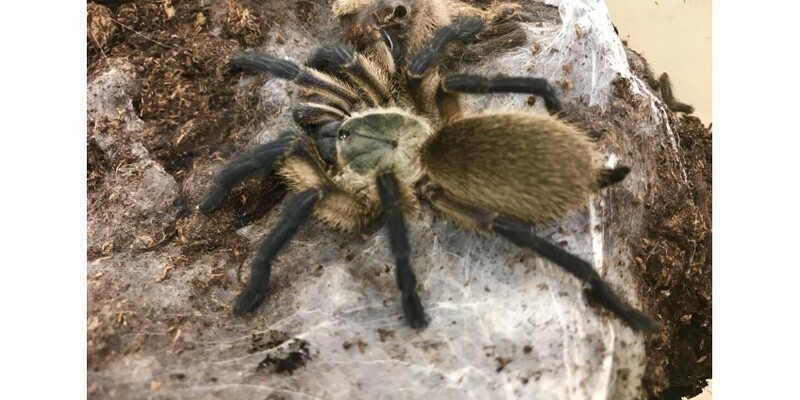 I’m thinking tarantulas and home-grown bugs are my best bet next year, most of my tarantulas are captive bred now, very few are wild caught. Well onwards and upwards, jobs to do, items to tick off of my list. Wish me luck for next Friday! Sorry, I had planned to tell you all about our jungle hike in Costa Rica, complete with machetes but I think that’s now a story for next week.